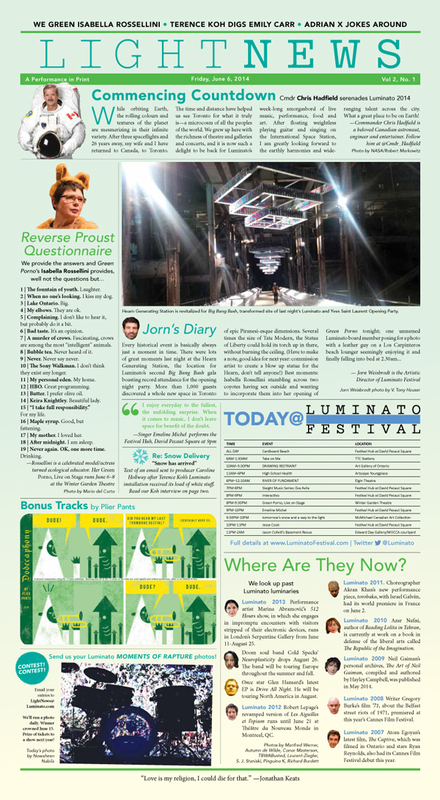 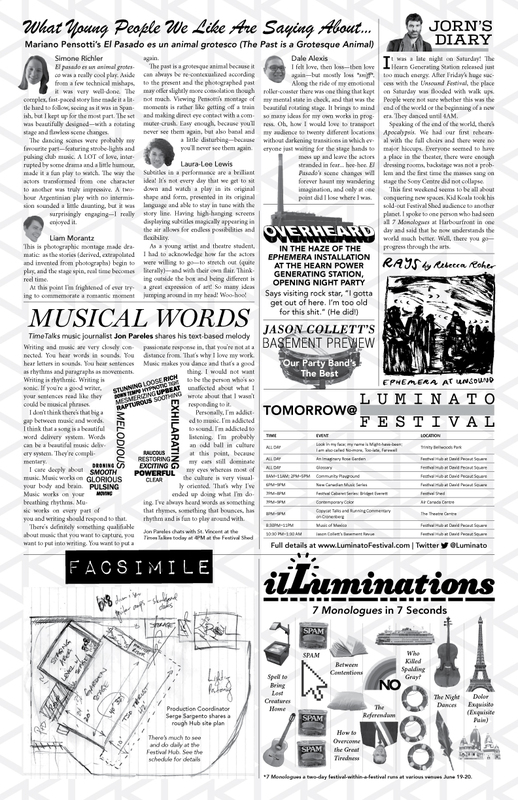 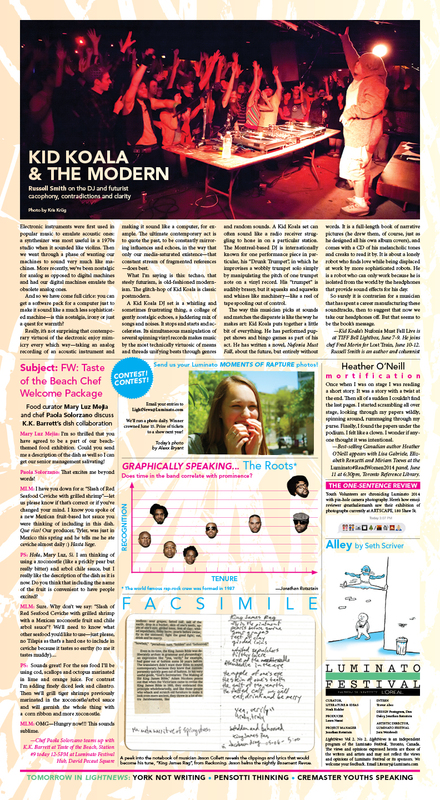 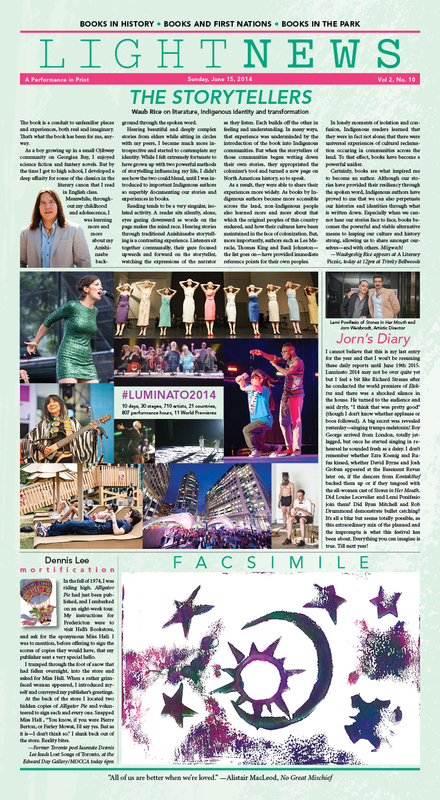 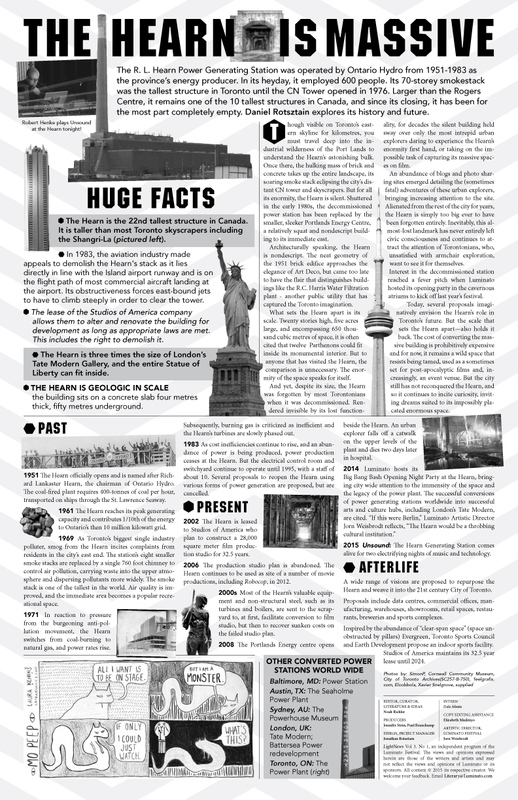 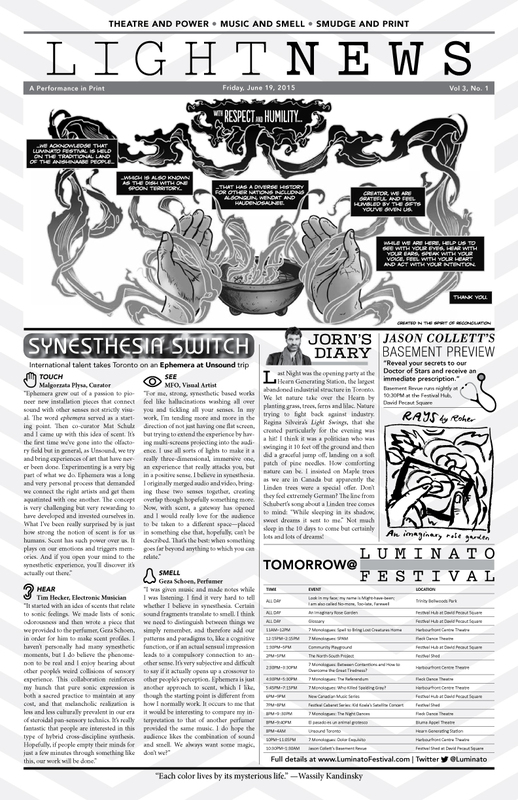 I was the 2014 and 2015 Project Manager for LightNews, the Luminato Festival newsletter. 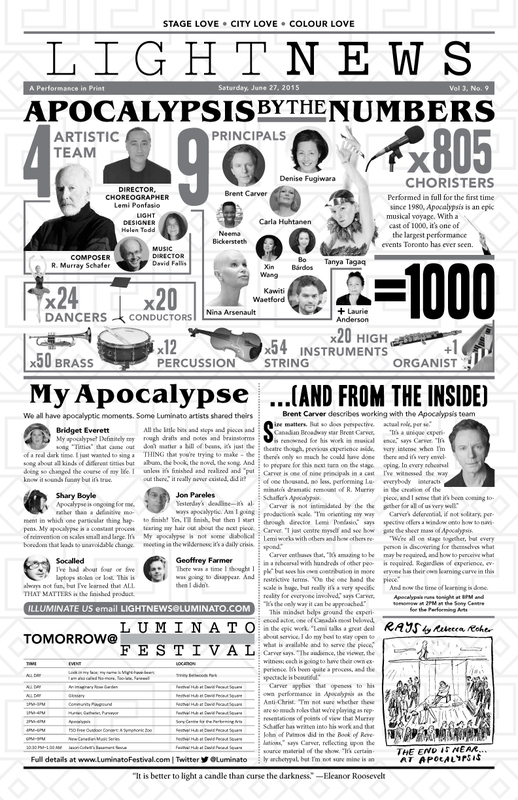 The performance in print came out every day, during the ten days of the multi-disciplinary arts festival. 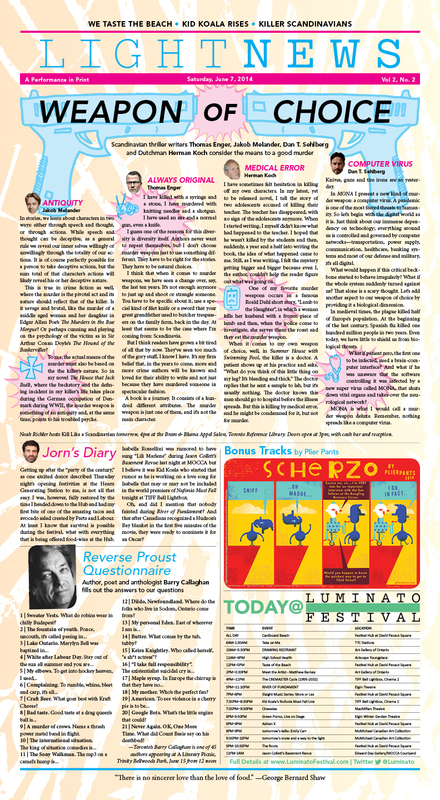 Under Literary & Ideas curator Noah Richler, my responsibilities included contributor wrangling, generating interview questions, interviewing luminaries, transcribing and crafting feature stories and copy editing. 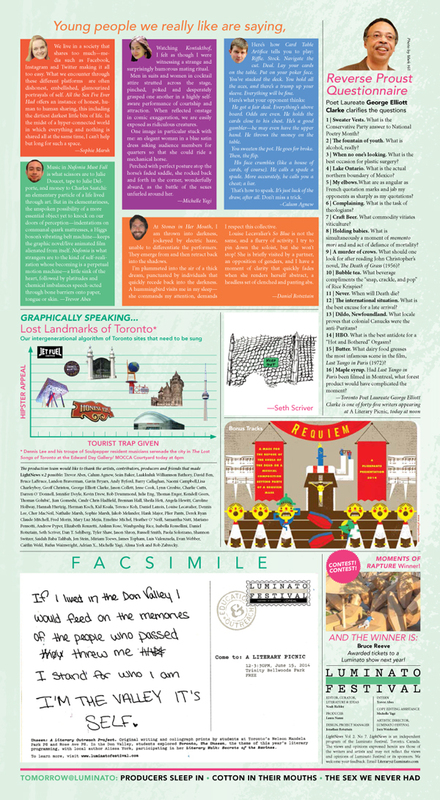 I was also responsible for design and layout, including typography, illustration and infographic generation. 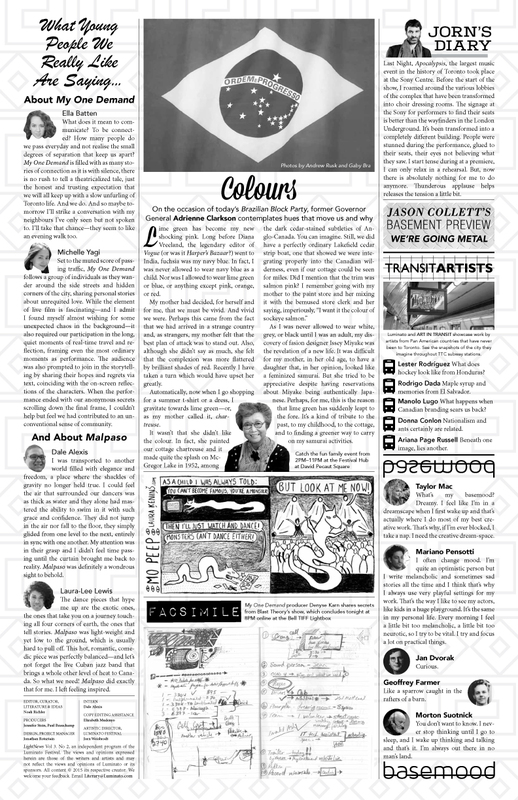 I commissioned and coordinated creatives, including photographers cartoonists and illustrators. 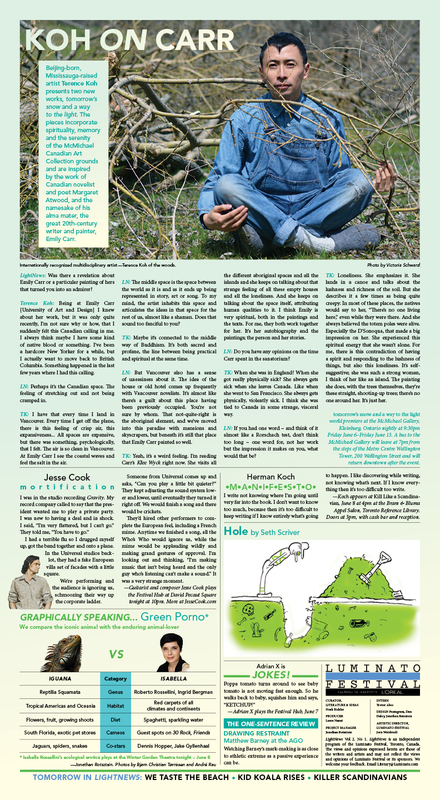 I managed all pre-press and print production, as well as generating blog content.